When you get a call as an AV integrator to take a look at a project there is the excitement of a new challenge and the uncertainty of working with someone new. When that job involves taking over for a previous residential dealer the sense of unease is heightened. Was the problem the job, the integrator, or was it really just a difficult client who couldn’t be satisfied? High on the bluffs of Illinois, overlooking the Mississippi River stands a 150-year-old landmark called the Olin Mansion. This structure has watched over the Alton, Illinois area since 1860. Its moniker, Olin Mansion, comes from its most famous owner, Franklin Olin founder of the Olin Corporation. The 40-acre estate has changed hands six times in the last twenty years, most recently to lawyer John Simmons of Simmons Law Firm. Simmons purchased the property in 2014 and immediately began renovations and additions. 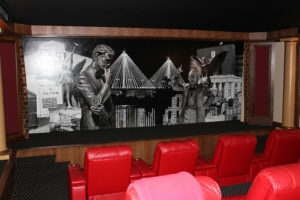 The family had enclosed a former open-air walkway connecting the home to the carriage house as well as adding a home theater, distributed video throughout, lighting, and a Control4 control system. Then there were the Zigbee storms. For those not familiar with this term, this is what happens when there are so many signals from Zigbee control products going around the 6,000 square-foot home that the deployment locks up and nothing responds. To combat this, hard kill switches were installed to reset the Zigbee devices. That’s when Bentley made a connection with Joe Whitaker and Jay Hanks of The Thoughtful Home. “The first thing we did was to do an assessment of the current system, the problems they were experiencing, and what was needed,” Whitaker says. 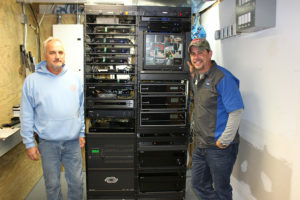 From there, the team at The Thoughtful Home set out to troubleshoot, repair what could be fixed, replace what could not be salvaged, and deliver the client a system that was functional day in and day out. “We started with not very much wi-fi coverage outdoors, now 35 of the 40 acres has coverage” Bentley exclaimed. The team at The Thoughtful Home replaced the existing networking gear with Control4’s Pakedge system including wireless routers. 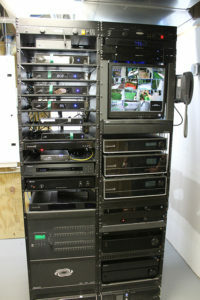 They kept in place the 32 x 32 Crestron DM matrix switch as well as the Control4 control and Zigbee lighting control. 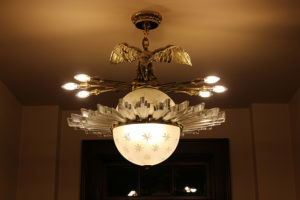 The same lighting fixture in the U.S. Senate offices inside the Olin Mansion. 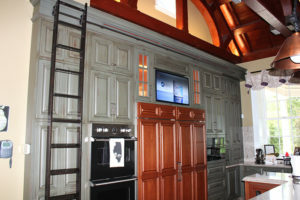 Once the takeover project was complete, Whitaker and Bentley communicated at least once a week to make certain the system was operating as The Thoughtful Home designed and the customer needed. 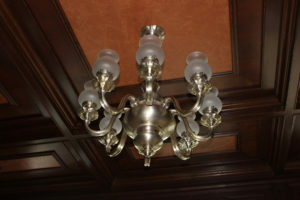 During one of these calls, Bentley relayed an electrical issue that needed addressing. 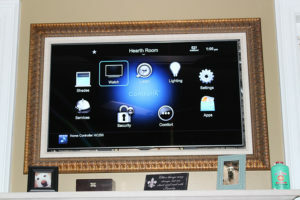 Since The Thoughtful Home had documented their system and processes they were able to come in, re-assess the systems and replace what had been damaged. 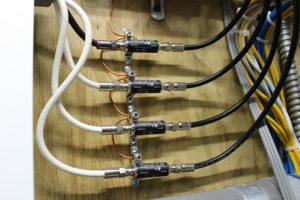 In addition, the team isolated signals coming in from the outside such as the cable TV signal.